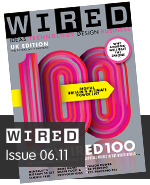 I read the Wired Second Annual Survey on the UK’s Digital Power Brokers last weekend, with much interest. The list is published annually, and to my mind is a far more interesting read than Tatler’s 100 most eligible men and women in the UK, although admittedly, there may be a small amount of cross-over in each list. The study is designed to highlight those who have the most influence in the Digital World, from innovators to investors. In the Number One position, is Joanna Shields, who is the VP for Europe, Middle East and Africa for Facebook, and a fairly obvious choice in the current climate with over 30 million users in the UK currently. Interestingly, the list last year was topped by Google! The top 10 is pretty much made up of the corporate players you would expect to see, including Apple, Google and a surprise entry for Julian Assange from Wiklileaks – small comfort to him right now I expect. However, interestingly, as the list plays out, much of the players are made up from smaller sized companies, which truly have digital innovation at their core. I have a personal interest in Numbers 21 and 27 – Robin Klein and Errol Damelin respectively. These entrepreneurs are the Chairman and Chief Executive of Wonga.com – an online short-term loan company which has data at its very core. It’s data-led approach has really transformed personal finance, and created a contemporary alternative to the traditional banking system. From another slightly different, but also personal perspective, I was very happy to see Natalie Massenet included at number 20. This lady changed the face of fashion e-tail by founding Net-a-porter.com,which now has 3 million users logging in every month, and spawned The Outnet – a fashion website specialising in end of line clothing. I have spent many happy hours browsing the pages of this site, and sadly too few purchasing, but it remains one of the most talked about fashion e-tail sites in the country. One can often become slightly cynical and jaded when working in the digital arena. You are constantly seeking the ‘newest’ developments in technology, and become accustomed to expecting nothing but the best in systems and ideas. The same can be true of digital media. During my time at a large media agency, we were always looking for ‘The Next Best Thing’ that would change our clients brand perceptions, often just by being new and shiny. But looking through this list of shakers and movers, it is so comforting to see that people are showing the courage of their convictions and creating sustainable businesses based on the digital experience that truly benefits everyone. The founder of Glasses Direct, for example (in at Number 52 on the list), who is now looking to replicate his success with Hearing Direct. Or David Babbs who is the Executive Director of 38 Degrees – an online activism group which played a key role in the governments reversal of its plans to see off the The Forestry Commission after securing 500,000 signatures for its online petition. The list is awash with smart investors, who spend their time, and money, helping companies to embrace and critically, monetise the digital landscape. Many, many companies have seen their tech seeds grow through hard work and a true belief in the power of the digital channels to change businesses. It is obvious that there has never been a better time for digital talent in the UK.